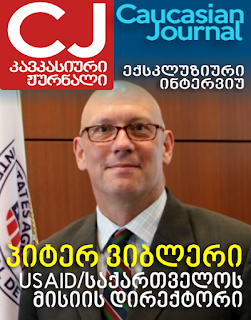 Caucasian Journal: Peter WIEBLER of USAID Georgia: "Georgian organizations can and will cope with challenges"
AK: Thank you very much for good wishes to Caucasian Journal! After last year’s presidential election, even the outgoing president himself expressed concern about a “sharp drop of the democratic standards” during the runoff. Following the election, USAID quoted the OSCE that “one side enjoyed an undue advantage” due to the misuse of administrative resources. This is a very serious challenge to civil society. Do you think Georgian organizations can cope with it, even with generous USAID support? AK: My next question is related to the previous one. 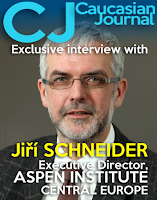 A strong civil society can face any challenge, but building a civil society is a long and complicated process. Are you aiming to help well-established organizations only, or offer any support for new initiatives as well? AK: Let’s get back to your Elections and Political Processes project. It is a long-term program planned for 2019-2023. If you would like to tell us more about your overall vision of it, or any specific details, the floor is yours. AK: According to your program description, you focus on “absent or inadequate conditions for political pluralism in Georgian society” and “Georgia’s weak political parties, unengaged electorate, uneven electoral playing field, and lack of inclusion of underrepresented groups including women, youth, minorities...” This is a huge agenda. Could you elaborate on it? How do you prioritize between so many equally important problems? AK: How are you planning to monitor and assess the efficiency of the Agency’s grants? Here I cannot help mentioning the negative effect of so-called “grant-eating”. Besides causing direct losses, it can severely spoil the whole image of effective civil society, especially when it is still in its early stage. From your perspective as a giver, what are the ways to avoid such practice? If you have any examples to share, that would be quite interesting to learn – from your experience in other countries as well. 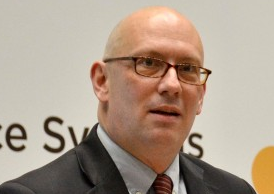 PW: USAID refers to our award recipients as implementing partners, rather than grantees. This is because USAID is actively involved in all its programs. We do not merely hand over funding and ask for a report at the end of the project. As I just noted, we do take project monitoring and evaluation very seriously; we want to hear about new approaches to achieve program successes, and to monitor and evaluate them effectively. 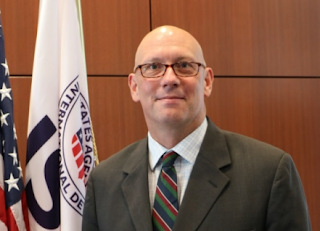 Each project and program has a team of USAID specialists who work closely with the partner to plan, implement, and monitor all the activities we support. Our systems require extensive reporting of program activities and finances, including independent evaluation mechanisms and audits. Ultimately, the goal of this engagement is not only to protect the U.S. taxpayer’s investment in development, but also to ensure that programs are working efficiently and effectively together to achieve higher level outcomes. AK: Do you think the whole pattern of new organizations formation and their operation needs attention? I am talking about a favorable environment, including a legal framework, which allows for easy fundraising, for example, or fiscal privileges to encourage donations to charity. 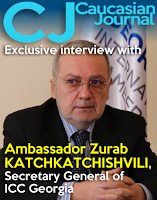 "Georgian civil society and media effectiveness is excelling, with a score of .91 on a scale from 0-1"
AK: Speaking about favorable conditions for civil society formation, I wanted to touch upon the role of mass media. Is there a place for mass media in the complicated structure of the Elections and Political Processes project? If yes, we would be glad to contribute to your project, as long as we fully share its mission and values. AK: We know you have led Agency’s activities in democracy and governance fields in some of the most challenging locations including Afghanistan, West Bank/Gaza, Serbia, and Ukraine. Could you share some of the brightest success stories? What was the most difficult (or funny?) situation you found yourself in? AK: Millions of people worldwide benefit from the USAID projects worldwide, including in Georgia and South Caucasus in general. Our readers – as we see them – want to play a more active role in changing the world that surrounds them, they want to form the civil society, and be a part of it. If you want to address our readers directly, the floor is yours. PW: In a democracy, your country is what you make of it. People choose their leaders, define their priorities, and determine the political agenda. However, like so many things in life, you get out of it what you put into it. It is up to the people to make their voice heard -- vote, donate to a civil society organization, join a social movement, attend a municipal council meeting, write letters to your representatives and opinion pieces in your newspapers, and call into radio shows to join a political discussion. This is how people can change their country; this is how they make it theirs. AK: Thank you very much!